Malayalam is an Indian language spoken by 40 million people with its own script. It has a rich literary tradition. A character recognition system for this language will be of immense help in a spectrum of applications ranging from data entry to reading aids. The Malayalam script has a large number of similar characters making the recognition problem challenging. 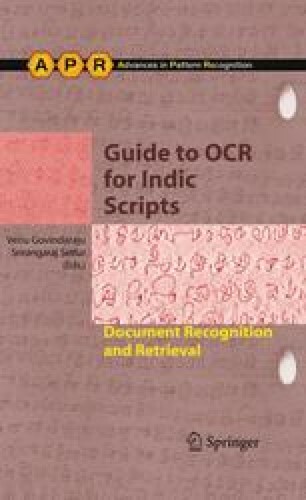 In this chapter, we present our approach for recognition of Malayalam documents, both printed and handwritten. Classification results as well as ongoing activities are presented. NIST : NIST Scientific and Technical Databases, http://www.nist.gov/srd/.